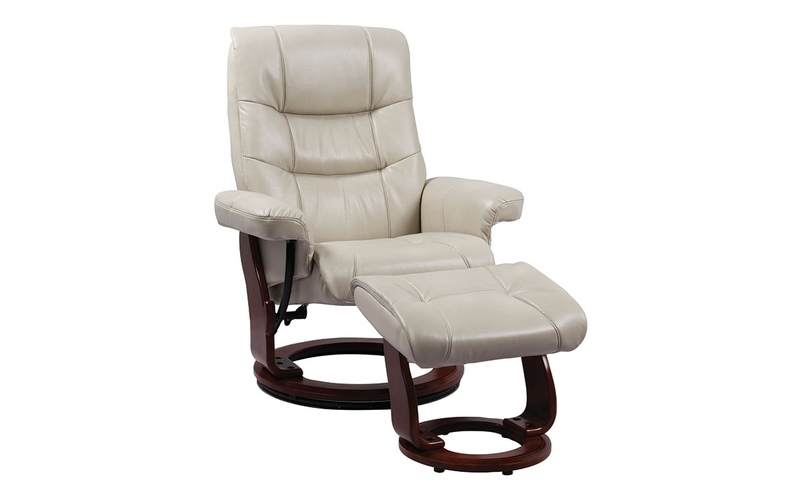 Take relaxation to a new level with the Rosa stress-free recliner and ottoman from Benchmaster. A durable steel frame offers lasting support to this recliner chair’s contemporary silhouette, tailored in taupe leather-look upholstery that’ll complement beige, tan and other neutral colors in your décor. This ergonomic chair reclines up to 140 degrees atop a walnut-finished swivel base, and even features an adjustable headrest for head-to-toe comfort.